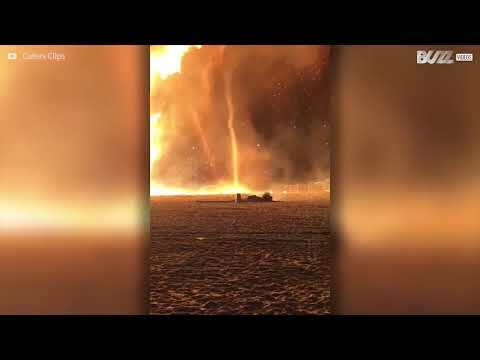 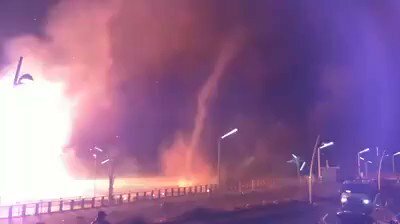 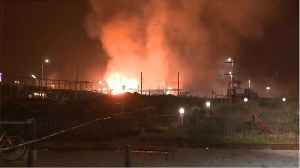 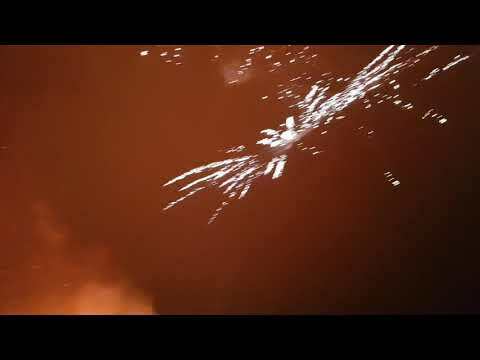 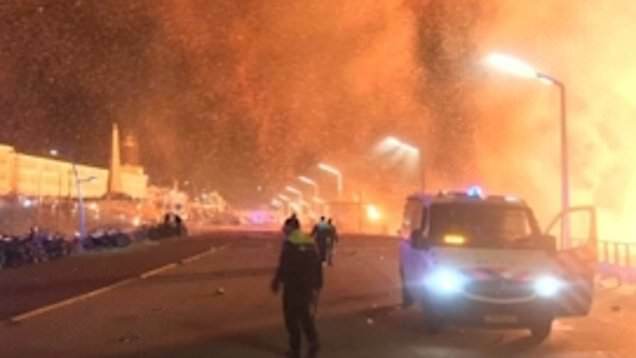 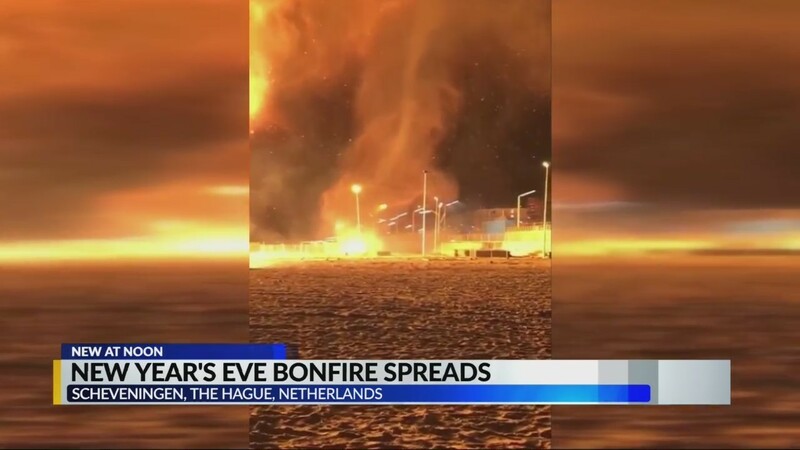 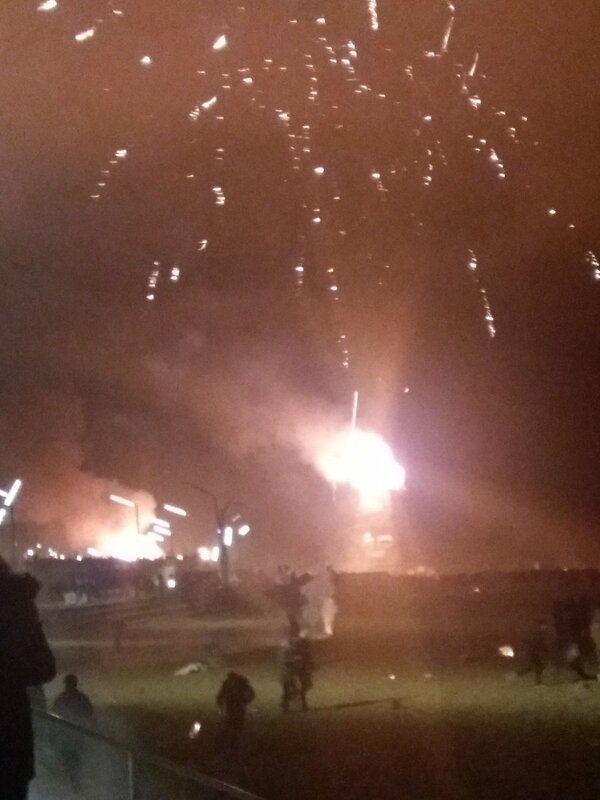 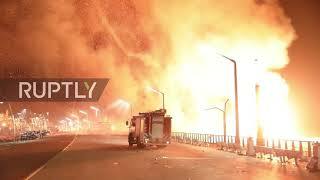 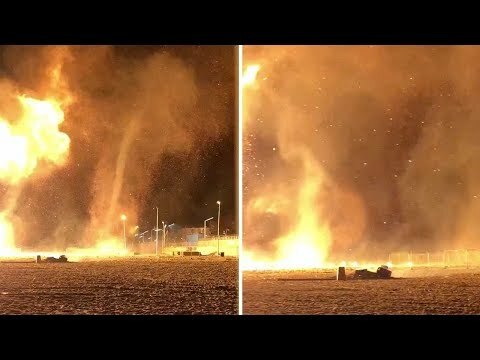 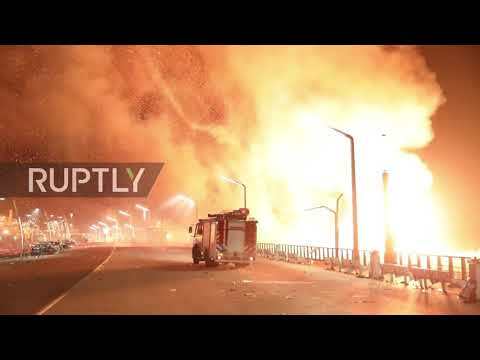 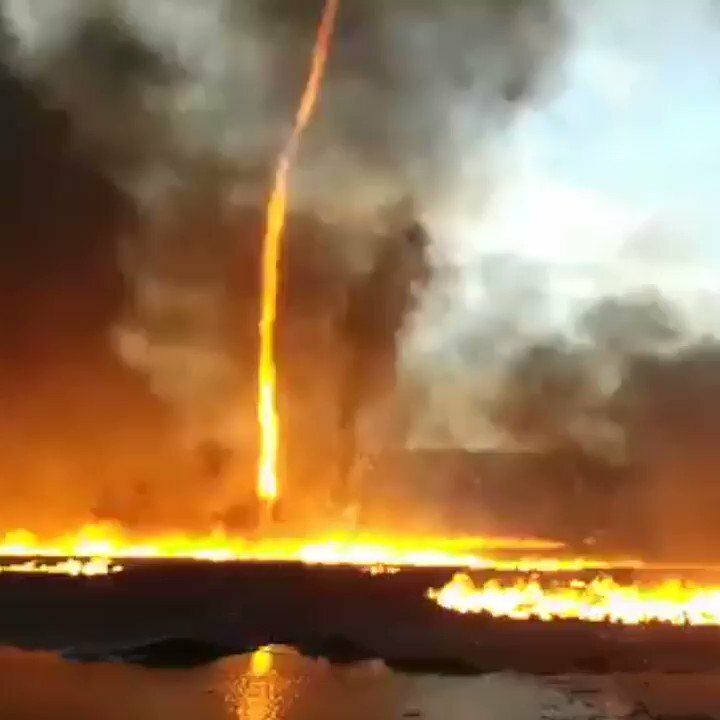 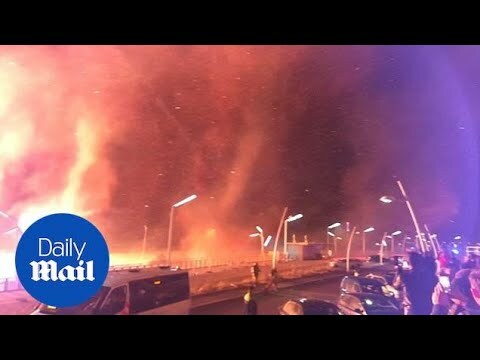 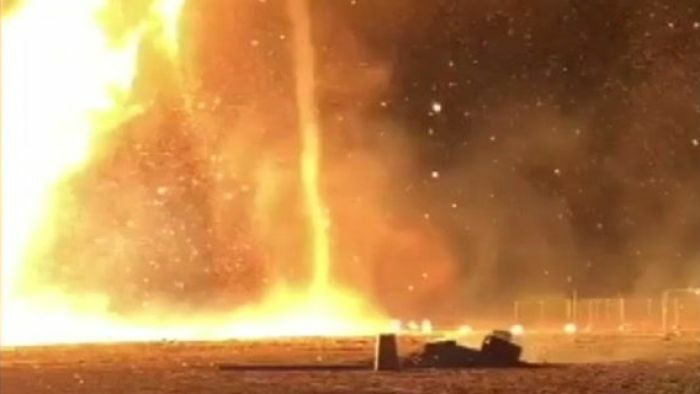 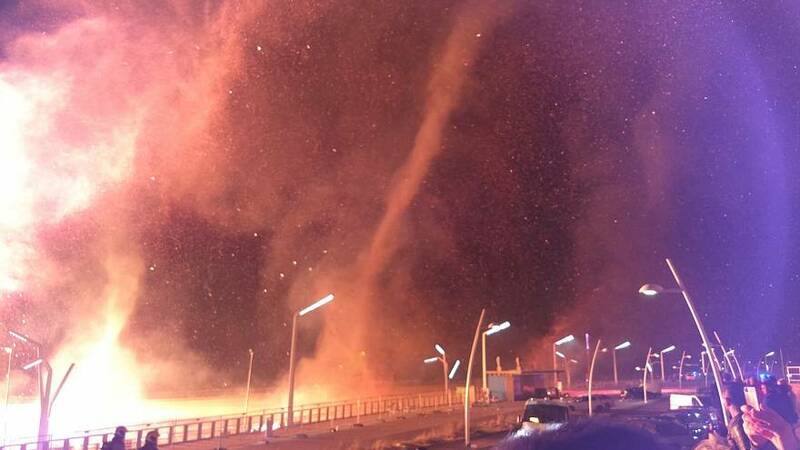 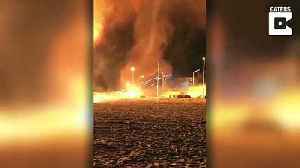 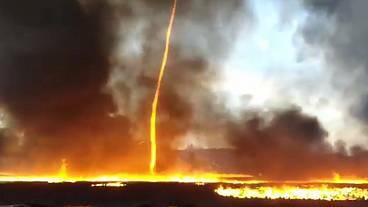 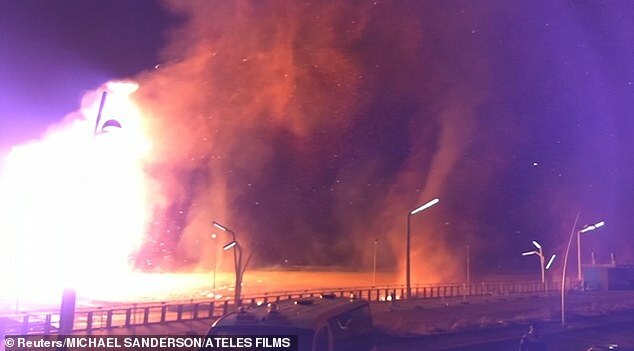 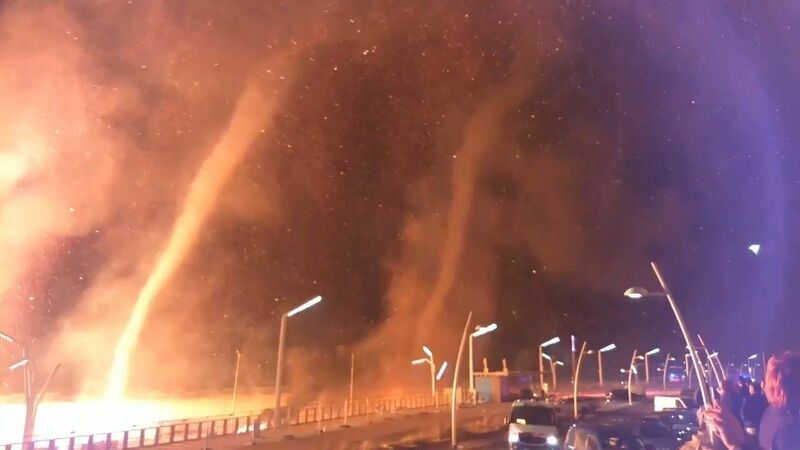 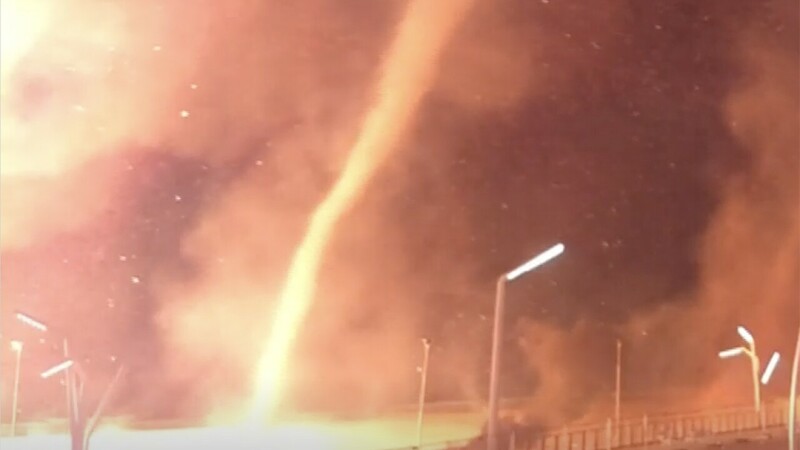 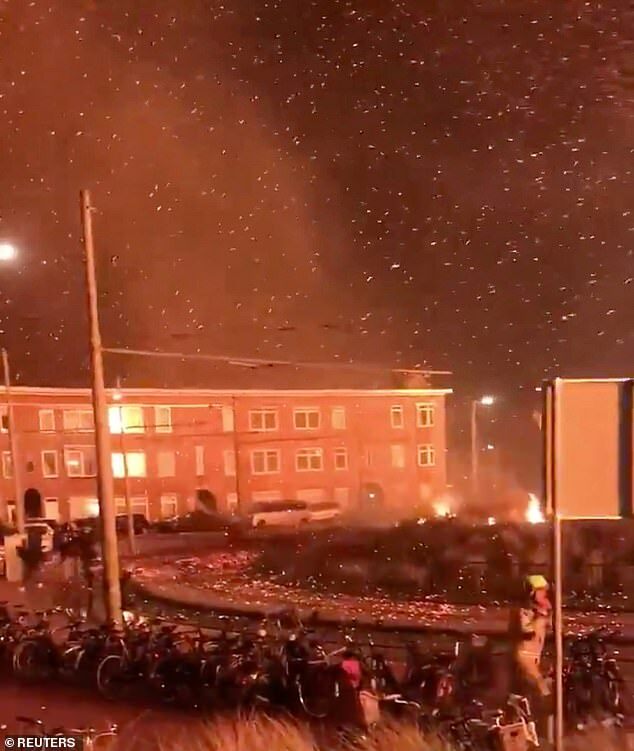 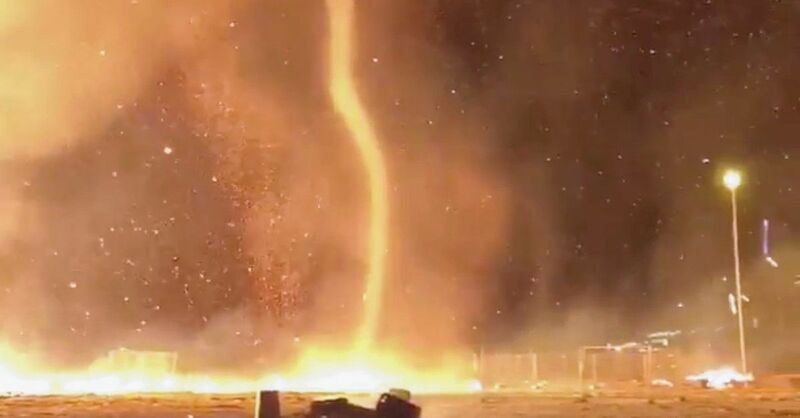 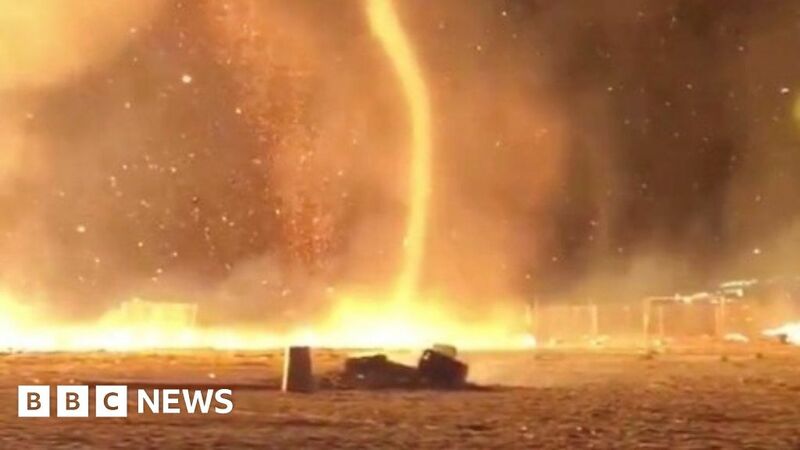 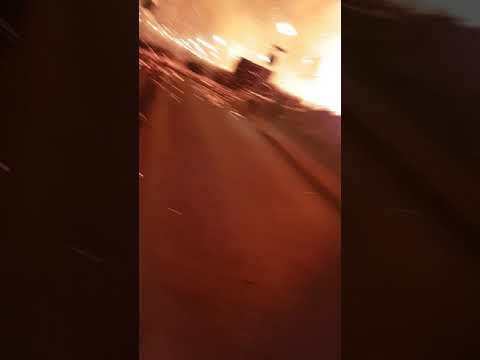 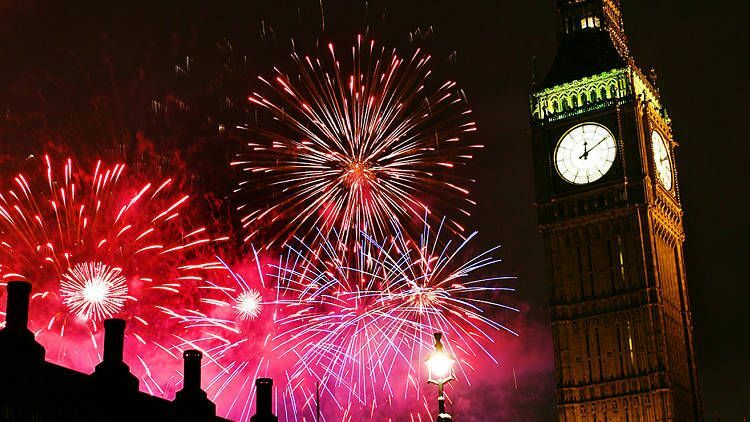 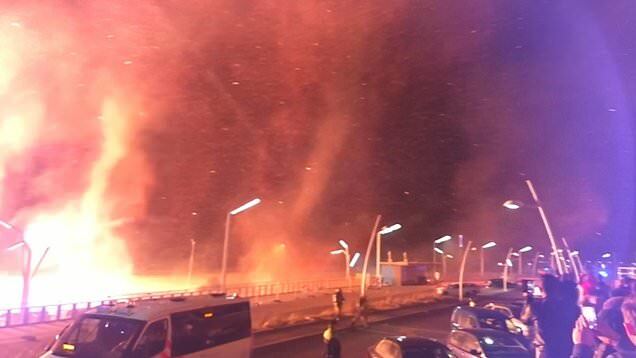 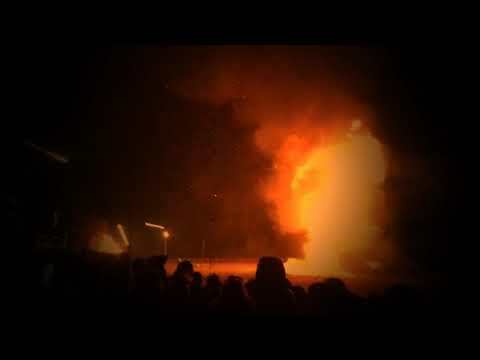 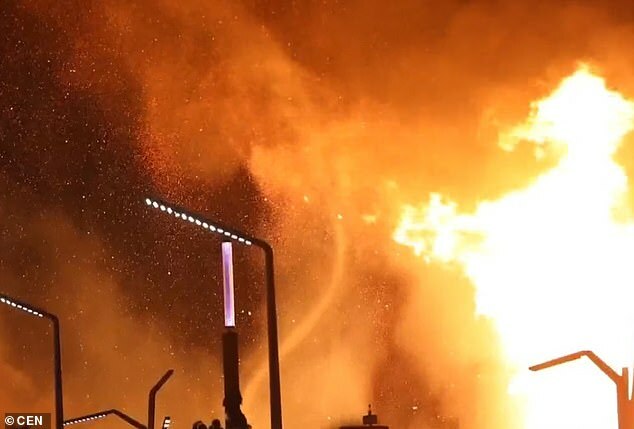 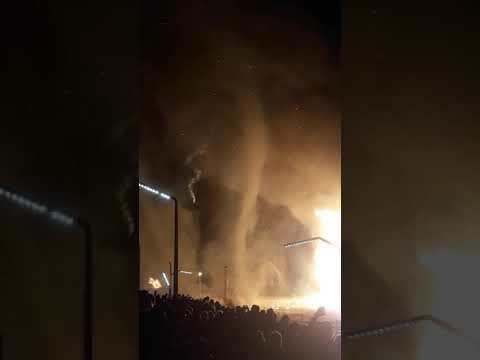 Fire Tornadoes (Firenado) on New Year's Eve in Scheveningen, Netherlands. 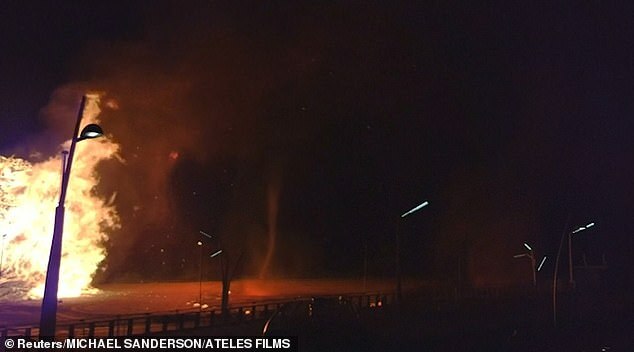 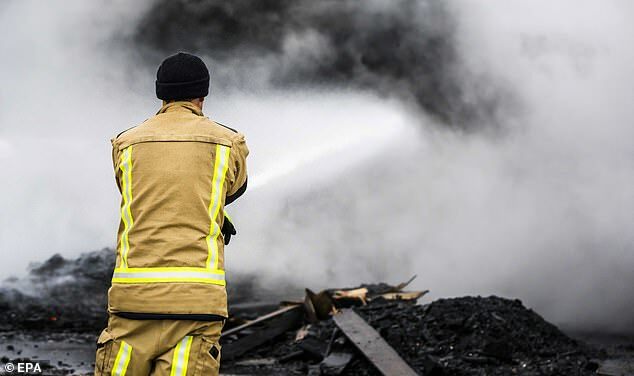 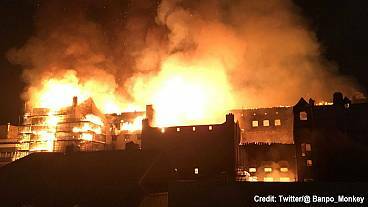 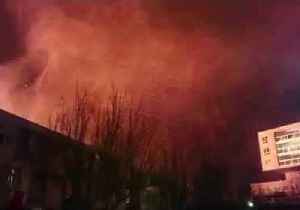 Haunting image of Scheveningen church on New Year's Eve with fire and ash. 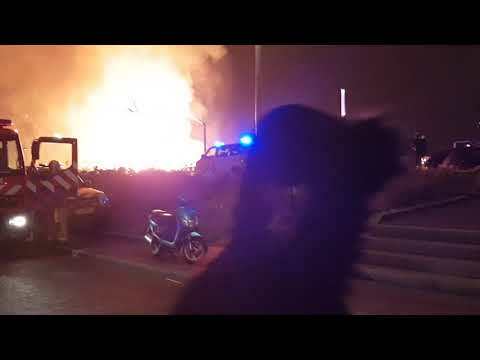 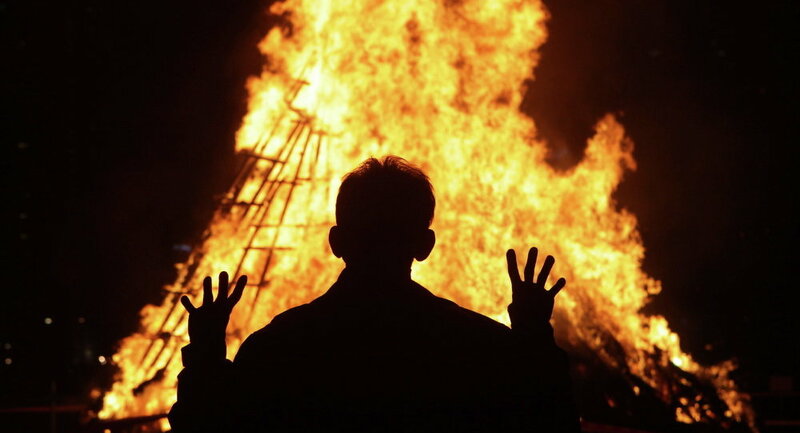 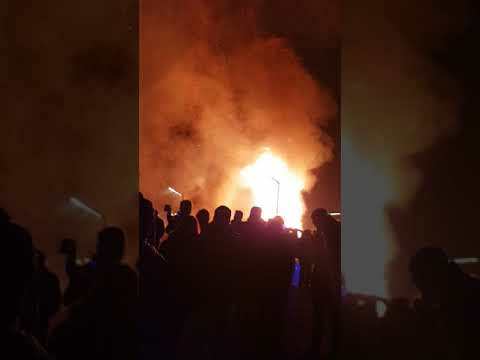 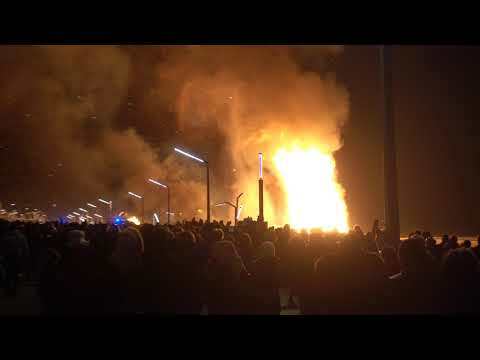 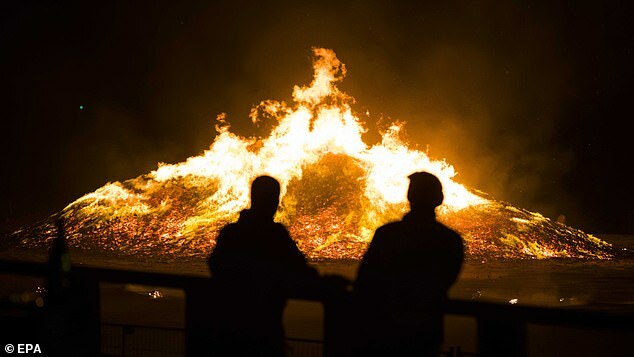 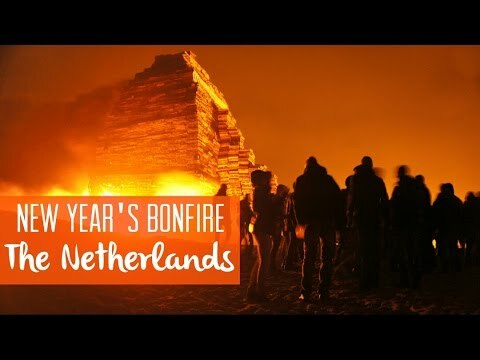 "yearly bonfire in Scheveningen, The Hague, Holland.